Gripe water was discovered accidentally by William Woodward, an American who was working in England, and quickly became adopted as a prescription by physicians. 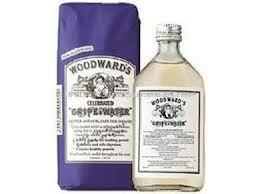 The original Woodward's Gripe Water contained 3.6% alcohol, dill oil, sodium bicarbonate, sugar and water. Woodward registered "Gripe Water" as a trademark in 1876. It was initially marketed with the slogan "Granny told mother and mother told me." This is the Hindi version, while I usually saw the Tamil Version of this. This is one classic advertisement - many people of my age would've surely seen this advertisement. Nice co-incidence! Just yesterday I was in Narayana Health City where my 1.5 year old nephew was admitted due to a case of gastroenteritis. And I saw a nurse giving him gripe water! And today I am reading your post on the same.